What Does Web hosting Mean? When you’re starting a business and require a website for the very first time, you may run into some terms and concepts that you’ve heard before but don’t quite understand. Getting web hosting Gold Coast can be complicated and is one of those concepts for many people. The easiest way to think about web hosting is to think about all of the files that are stored on your computer. Files are stored on the hard disk of your laptop or desktop computer, and you can access them at any time. A web page is a file, just like the ones that you store on your computer. The difference between normal files on your computer and web pages is that web pages are intended to be seen by the public. This means that the computer that your web page is stored on must meet much higher specifications than a regular desktop PC. It also has to be connected to the internet through a powerful link which is why there are special computers that are dedicated to storing web pages. These computers are called web servers. Web hosting is a service that makes your web pages, and website overall, available to internet users. While it’s possible to host your website on your own PC or Mac by simply connecting to the internet, it’s not a practical solution. The internet in your home does not have the power to work and display properly to the number of users you’ll want on your website at one time. Web hosting companies exist so that you don’t have to host your website from your personal home or worry about the issues that could arise from hosting your own site. These businesses own and maintain web servers that are very powerful and capable of storing your web pages. The connections that these web servers have to the internet are powerful and enable many internet users to access your website at one time. 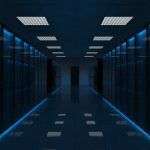 Unless you’ve got some major money to get the web servers and connections you need, you’re going to want to choose the fastest web hosting service to run your website properly. The faster the web hosting, the better your website will respond to when users are on it. The response time of your server is more than just the feeling of self-gratification for having a fast loading website. Websites that have a longer response time often see users leaving their site before it even is done the loading. Plus, the website speed also has an effect on how search engines, such as Google, rank you. If you’re expecting a lot of users on your website, want users to stay, or want a higher ranking then having the fastest web hosting available is a must. Many web hosting companies go above and beyond, offering their clients additional services. Doing this ensures that their clients are satisfied while also ensuring that they stay competitive. The additional services that companies can provide vary from company to company, but there are a few services that you can expect from almost all web hosting companies. These to services are the provision of email and the registration of the domain name. Many of these companies also offer technical support so that you can address problems when they arise. If you’re looking for web hosting, then be sure to look out for companies that meet your specific needs. Whether you need the fastest web hosting or one that is less robust for smaller websites, there are many options to consider. For those looking for the fastest web hosting in Australia, find and compare great options at Mebsites. Hello folks, if you are looking for the best WordPress web hosting, then this article is going to be very helpful. There are many hosting companies are available on the internet. But to choose the best hosting is a complicated problem. Choosing the good WordPress web hosting is very important because you don’t know the average up time of hosting providers. Some hosting companies have bad client responses, anytime our websites may face downtime. If we want continuous up time and good website speed then choosing right WordPress web hosting is very important. In this article, I will tell you which of the hosting provider companies are good and how you can use this hosting to make our WordPress websites live. Hosting is the space you have provided online to launch websites, create emails, store data and much more things. In simple they will provide you space with some monthly, yearly plans. Most of the important factors you have to keep in mind to choose a good webhosting provider. This is are the most important point you have to remember while choosing a good host. In SEO, WordPress web hosting plays an important role. The speed of your website will help you to rank more against competitors. Your website should have 99.99% uptime. Bluehost is one of the popular WordPress web hosting provider with 99.99% uptime. If you want some help from Bluehost team then you will get good customer support. Their customer support is available 24/7. If you did not have a lot of budgets then there basic WordPress web hosting starts at just 2.95$ per month. While choosing to host from any company they will offer you types of hostings such as Basic, Economy, Shared, Dedicated hostings. If you have lower traffic on WordPress website then you can directly go for the economy or shared hosting. In shared hosting you are not alone space is divided among the users. This will affect the speed of your WordPress website. But you can improve the speed of website using various plugins such as wp total cache plugin, image optimization. If you are going to get huge amount of real-time traffic then you have to choose a dedicated plan. Bluehost is hosting 2 millions of websites all over the world, so you can go with blue host and choose the plans according to your need. With some hosting plans, Bluehost is offering huge discounts of up to 60% off, free domain and free SSL. You can check all the details on their official website. Hostgator is also one of the popular websites which are fast, secure and simple. There last 10 months average load time is 462 ms and uptime 99.96%. Hostgator hosts over 8 million domains according to there website. The customer support is available for 24/7. This is one of the best WordPress web hosting for bloggers and business owners. They offer lots of services likes domains, hosting, SSL, 1 click WordPress installation and much more. Hostgator cost you around 13$ per month but for the new users, you can get it in 2.99$ per month. With these hosting provider, you will get high speed, secure and reliable hosting. SiteGround is also one of the popular WordPress web hosting provider. SiteGround is highest rated hosting provider in WordPress community. Many bloggers and my friends are using this hosting. They got a good result, have great uptime and speed of the website. Siteground features are 1 click WordPress installation, free site transfer, wp staging, git version control and many more. They are claiming that they have 99.99% uptime and 24/7 customer support. So you can go with these hosting also. GoDaddy is founded in 1999 and has 17 million customers. GoDaddy is the worlds largest registrar domain and hosting provider. GoDaddy is rapidly growing hosting company worldwide. GoDaddy will provide you domains and hosting plans at great discounts for one year. I have personally used this hosting provider for my blogs. They have no downtime at all and have 24/7 customer support. They have award-winning customer support team. Godaddy is fast, secure and simple. Today GoDaddy is leading WordPress web hosting company offers you lots of services like domains, WordPress web hostings,1 click WordPress installation, SSL installation, websites transfer, domain transfer, free emails. Lots of small business owners and bloggers are using GoDaddy to host their websites. Dreamhost is from 18 years in hosting industry now. They will provide you high-performance WordPress web hosting. DreamHost now comes with Remixer. Remixer is the website builder with an ease. If you are a newbie and don’t know how to build a website then you can go with remixer free trial. Remixer is very easy to build the WordPress website. Dreamhost provides you shared, VPS and dedicated hosting. You will amazed with there outstanding features. They have unlimited hosting, emails, SSl, privacy and more features. You can check out hosting plan details on their official website. iPage was started in 1999. Now it has grown over one million websites. Ipage hosting provider has 99.98% uptime and customer support is average. The average loading time of the iPage Hosted websites are 860ms and it is not bad at all. If you have low budget then you can go through iPage hosting because they are providing hosting at cheap prices. You can make live website with few cents. The good thing about iPage is cheap and the bad thing is customer support is average. So its upon you, if you want good to host a and have budget then goto above mentioned web hosts. Is a small Australian hosting company that has been around since 2008. They specialise in high speed gated shared hosting. They feature Litespeed caching and the caging of accounts via cloudlinux software means another website can’t drain your resources, which is a fantastic feature in a shared hosting environment. They have plans starting from just $1 a month and also have Zimbra exchange server email hosting, which we love. Many of the fortune 500 tech companies use Zimbra professional email hosting. I have listed some of the best popular WordPress web hostings. a Website speed is a very important factor and you cant neglect it. To rank higher in web search results or to gain more sales, you will need high-performance web hosting. Lest suppose you have a product based website or any affiliated website and it taking more than 10 seconds to load then a user will leave the page and it will affect the revenue and you will lose your customers. Choosing good website host is very important. You can go with the above hosting providers according to your need. You will thank me later for choosing you good web host. Best Magento Hosting Review: Magento is the most popular choice when the E-Commerce name comes. What is Magento? Magento is a popular software solution to create web stores. Magento is founded back in 2008. Magento becomes popular among the eCommerce stores. If you have online E-Commerce website then you can surely choose the Magento. Why do you need the best Magento Hosting E-Commerce Companies? Magento is a popular choice when it comes to the online e-commerce web stores and does you know there are total 200000 web stores are hosted at Magento. Why it became popular? because it is easy to use and have a lot of functions that make Magento more powerful. The Magento hosting can be scale. If your products on the store are increasing then you can scale Magento hosting to make it more space for the products. You can go from small to big stores on Magento web hosting. That’s why Magento is the best option for eCommerce stores. There are many Magento hosting providers on the internet. But do you know which one will be good and bad Magento hosting providers? So, I am here to make your work easier. I will help you to choose one of the best hosting companies lists which provides good services of Magento. Magento is no ordinary web store content management system, it is specially designed for the E-Commerce stores. The great features of Magento are marketing, product management, customers management. Magento is the best option for E-Commerce stores when it comes to SEO. SEO plays an important role to drive traffic to our website and drive the good amount of traffic online. Magento makes search engine friendly URLs and sitemap. So, below is the list of the websites which are providing this Magento hosting. What are your website hosting requirements? First of all, ask this question to yourself what kind of hosting I needed. If your purchased wrong hosting that will affect your business. If your website going to get huge traffic and you don’t have proper hosting plans which can handle millions of customers then your website is going to crash for sure. Selecting hosting plan according to the need is very important. If you have to get a very low amount of traffic then you can go to any basic or shared hosting plan. But if you are going to get huge traffic then you have to select dedicated hosting. Dedicated hosting has the capacity to handle huge traffic. Dedicated hosting will cost you 100$ per month, that’s a huge amount of money. If your eCommerce store is not going to get that amount if traffic then the plan will be useless. That’s why first of all understand what will be my audience and how I can select hosting plans. I am listing out the good Magento hosting providers. Read the article carefully for choosing the highest speed hosting provider. SiteGround is one of the popular web hosting provider company. If you are looking to build an online store on Magento for fastest speed then you can choose siteground. SiteGround provides you unique handmade hosting solution and expert Magento help. SiteGround Magento hosting is fast and secure because they are providing CloudFlare CDN with railgun to make clients and clients customer experience faster. Magento Hosting plans start at 3.95$ per month on SiteGround hosting provider company. Magento version control using git. Bluehost provides lots of shopping carts. Safe, secure and reliable Magento web hosting. iPage hosting company provides domain names, hostings and other services at cheap price. They will give you hosting services at cheapest price. The bad thing iPage is there customer support. I can rate their customer support 7/10. But if you don’t have a lot of budgets then you can go through this hosting company. When your store starts generating good amount of revenue then you can transfer Magento hosting from iPage to other hosting providers such as siteground, Bluehost etc. iPage provides you website builder, so you can build e-commerce website with the help of drag and drop options. 1 click install for Magento, WordPress, Drupal etc. Shopping carts available to add. You will get free domain name along with Magento hosting. It’s secure if you select there 100$ plan. When you check out the Magento will installed automatically. Drag and drop builder is available. Free Domain, SSL and free email. Nexcess offers you Magento 1.x and 2.x hosting options in the US, Netherlands and Australia. Nexcess provides you stable, secure and scalable Magento web hosting. The Nexcess Magento plans varies from SIP100 (19.95$/month),SIP200 (74.95$/month),SIP300(189.95$/month). Customer support is good and speed is also good. Hosting options for US, Netherlands, Australia. So, here I have shared all of the above as the fastest magento hosting providers. I hope now you will get the good Magento hosting to build the online store. Share this article with your friends who want to build online eCommerce store. Special thanks to https://mebsites.com/web-hosting-gold-coast for all their advise preparing this article.